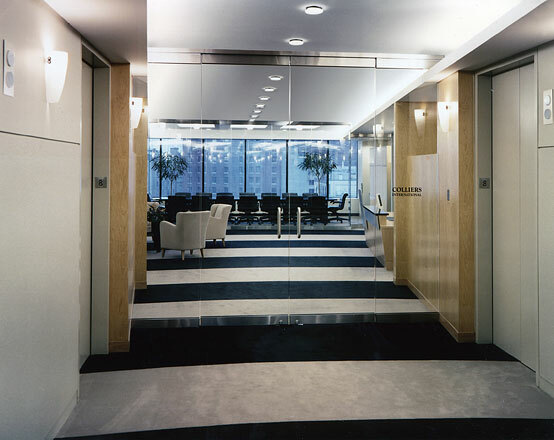 This office space, for a commercial real estate broker, assisted in rebranding the image of the Cleveland branch. 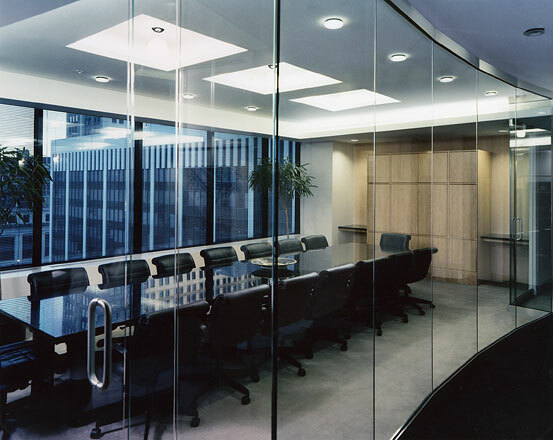 Conference rooms that are shared by all employees were programmed to occupy important locations, including the four corners of the plan, (spaces normally reserved for prestigious private offices) and the north/south termination points of the lobby axis space. 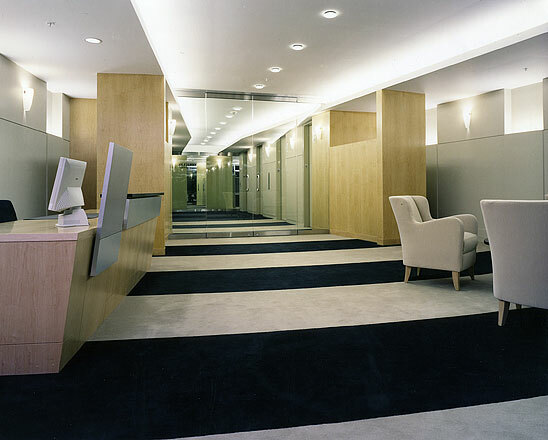 Once arriving on the floor, while within the elevator lobby, the visitor is given a view both north and south to the exterior through conference rooms that act as termination points and extend the lobby visually.